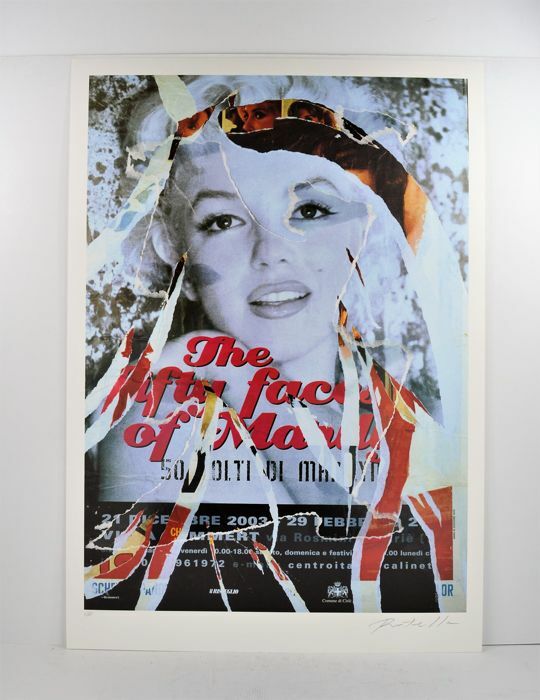 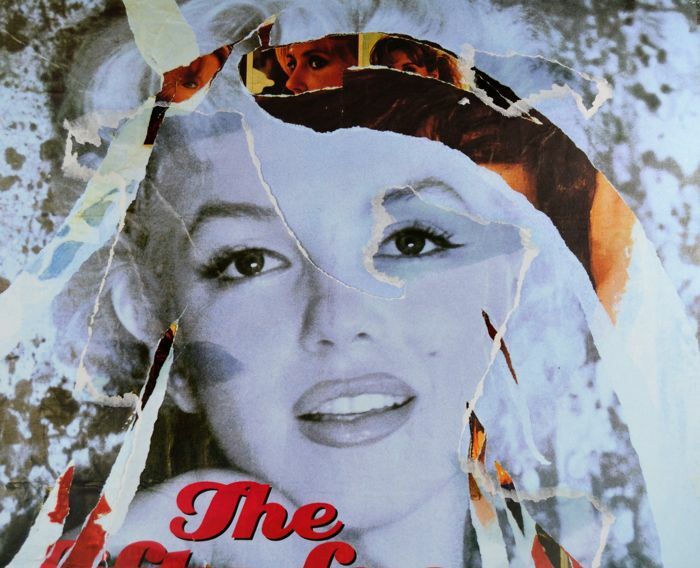 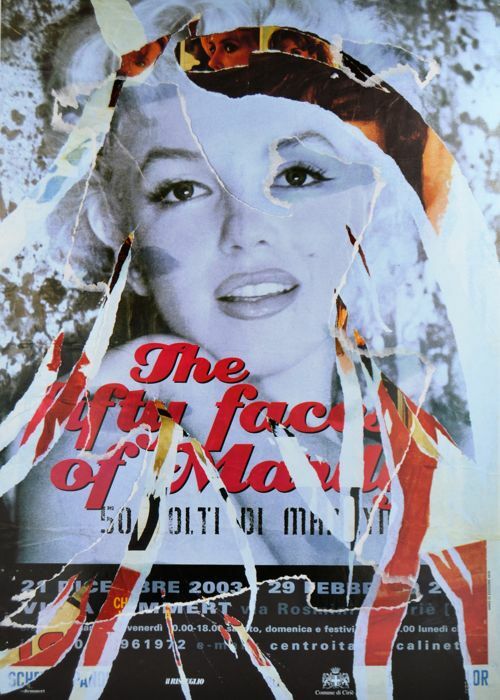 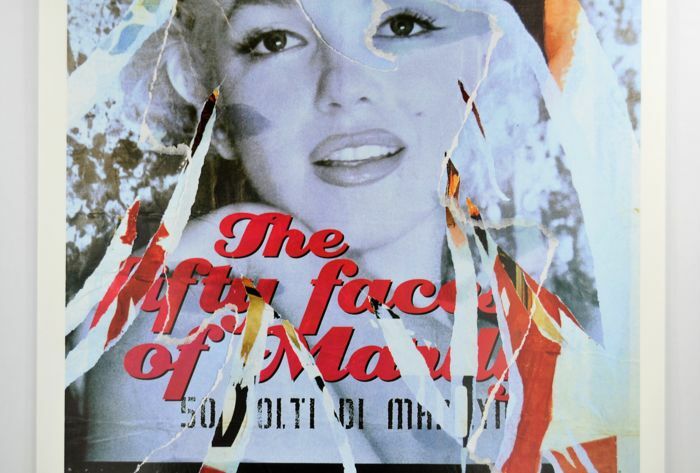 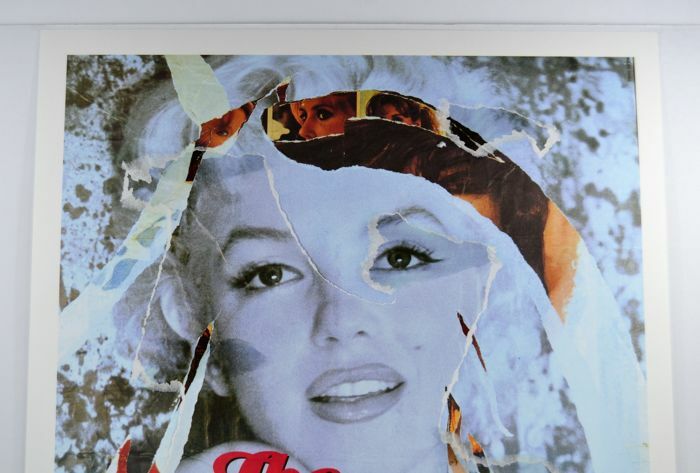 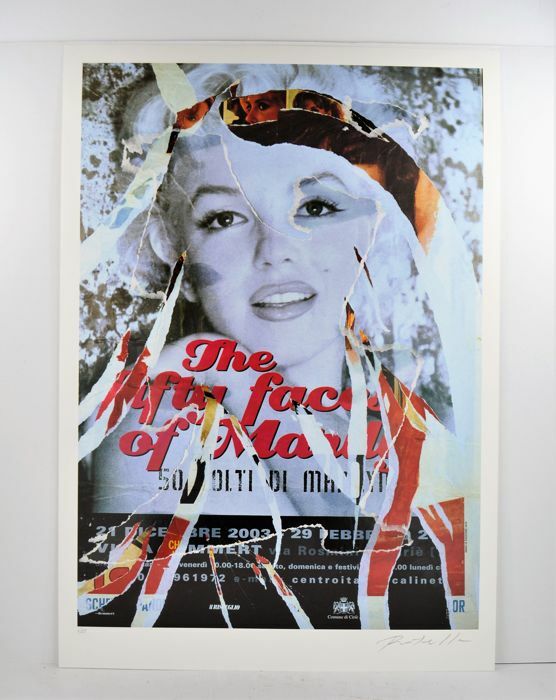 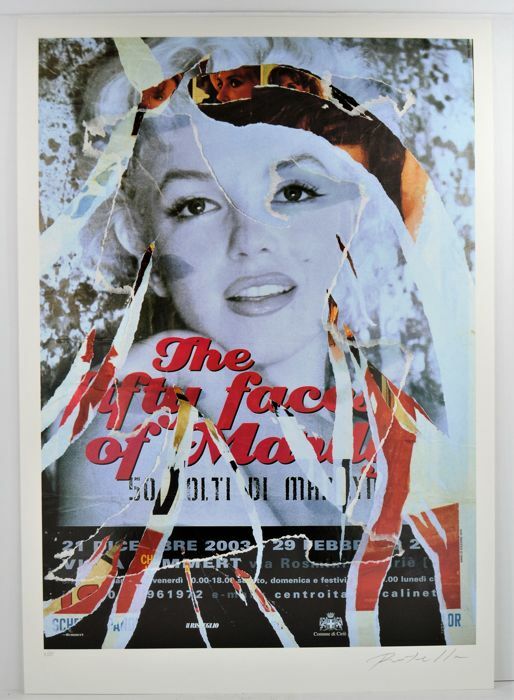 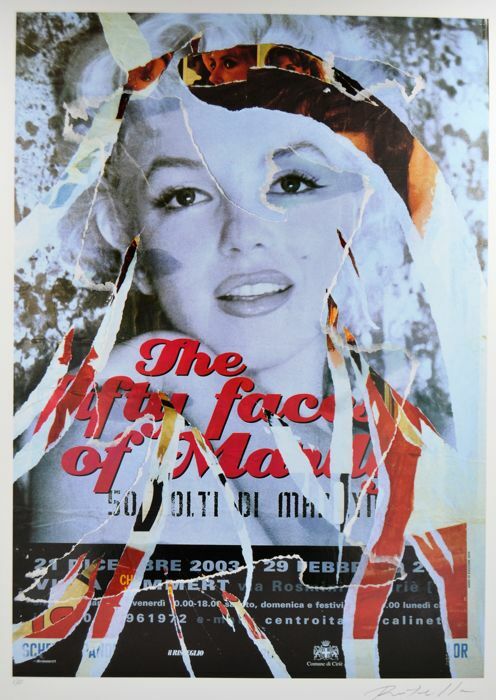 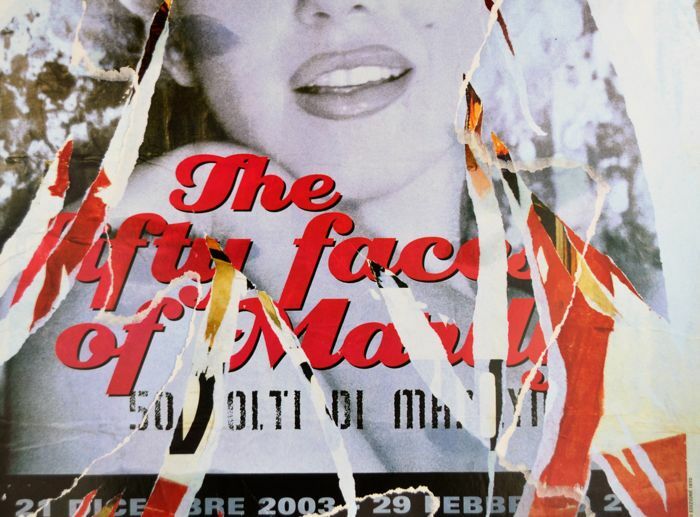 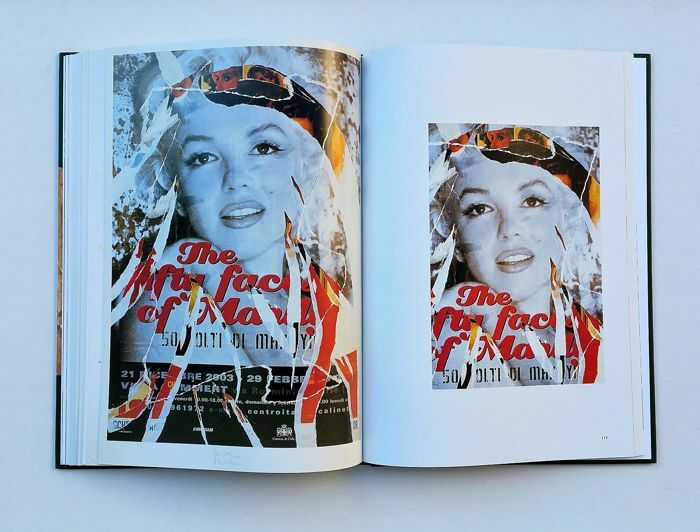 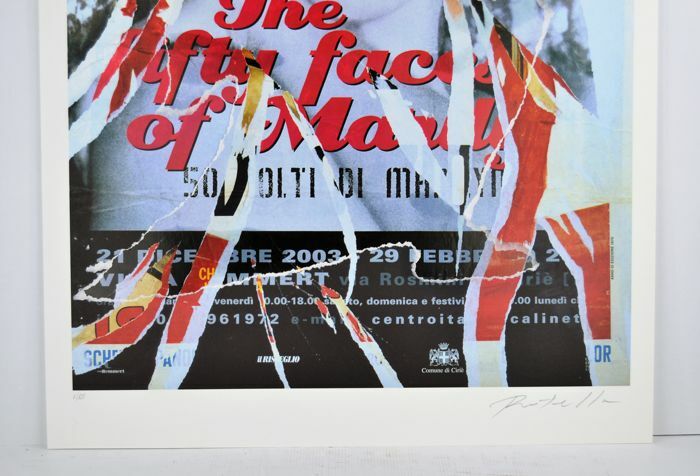 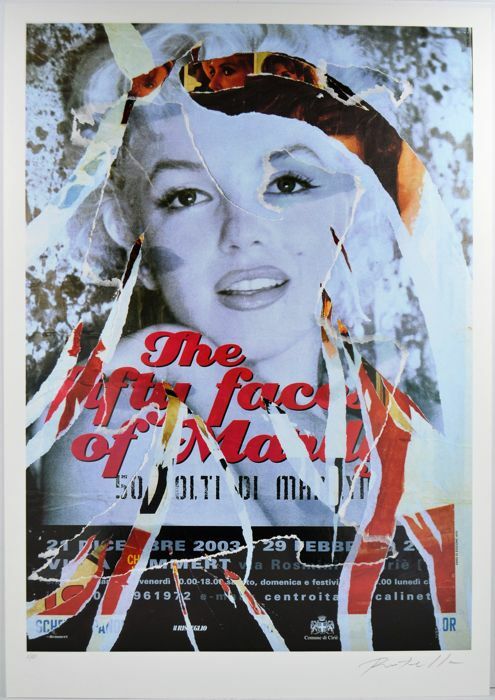 Mimmo Rotella, “Omaggio a Marilyn”. 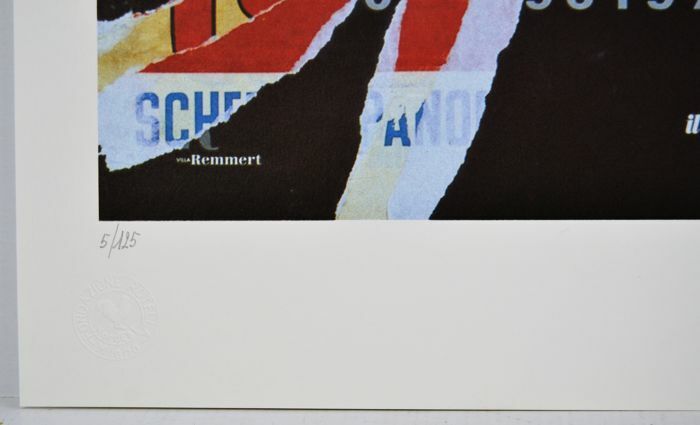 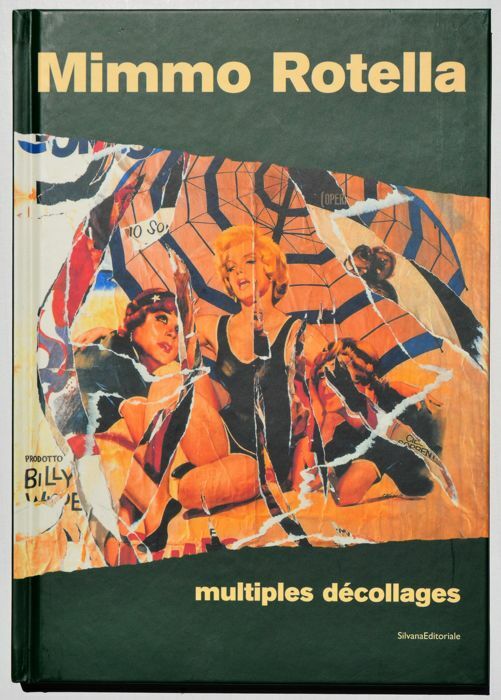 Multiple décollage with pieces of poster applied on a screen-printed support on cardboard. 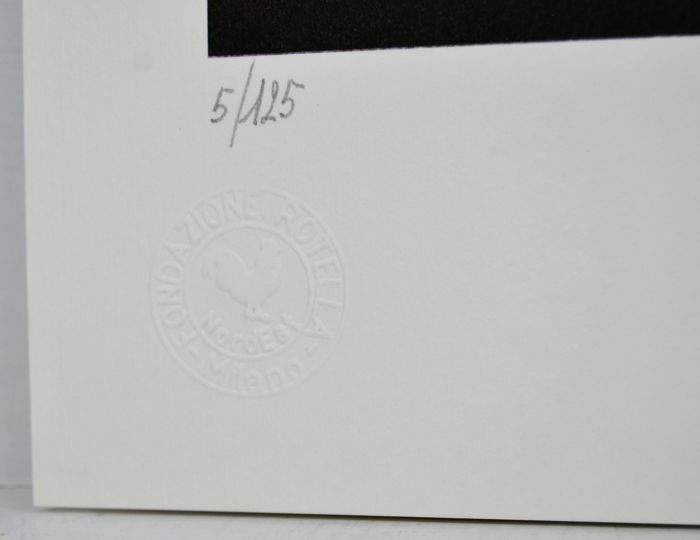 Embossed stamp by Fondazione Mimmo Rotella on bottom left. 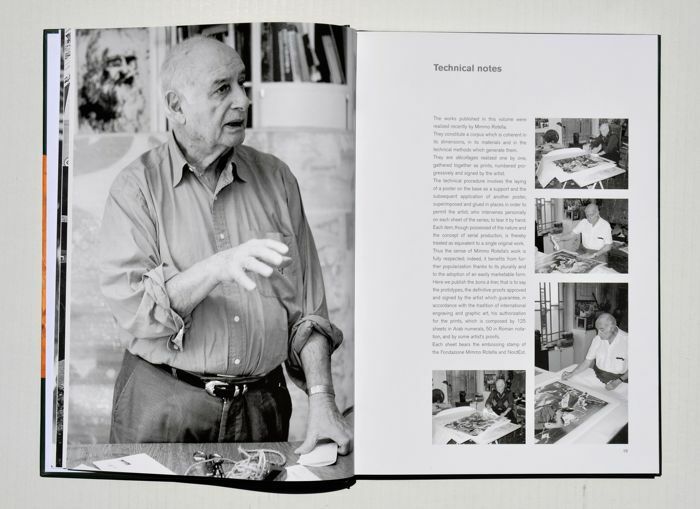 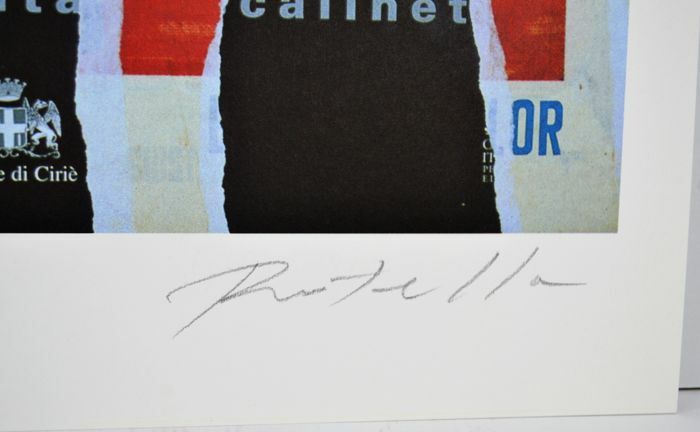 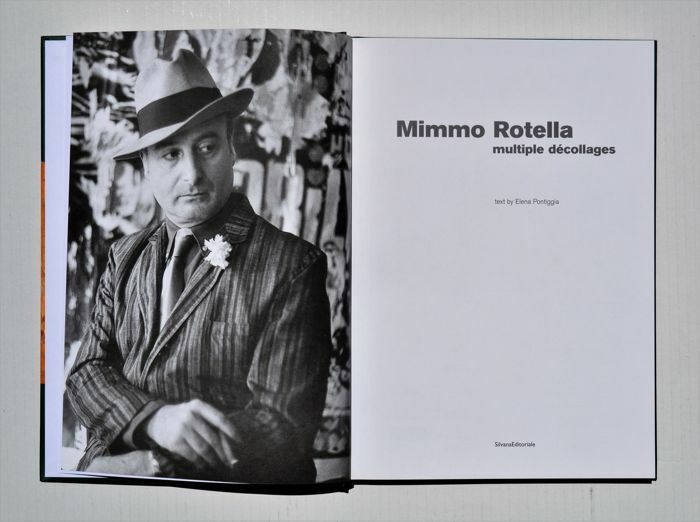 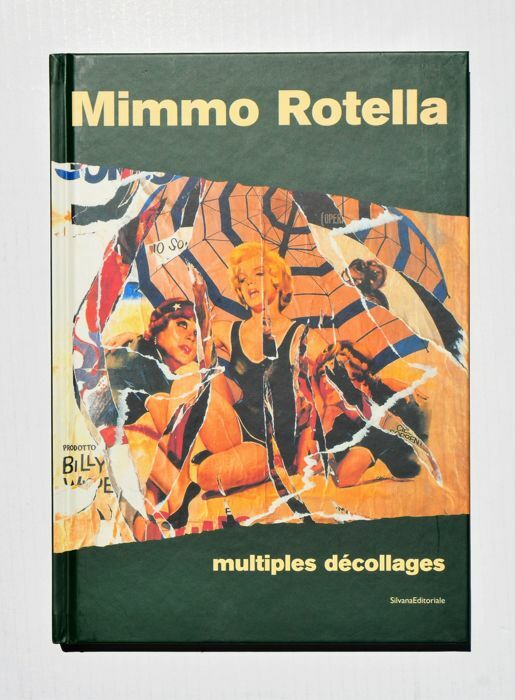 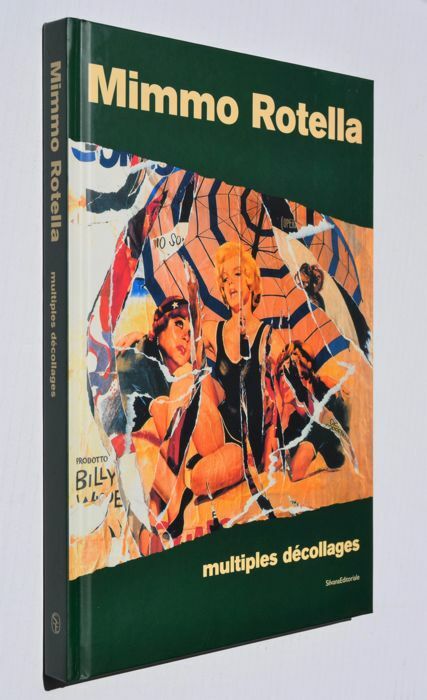 Work published on the catalogue “Mimmo Rotella multipli décollages” by Silvana Editoriale, on page 116 and 117. 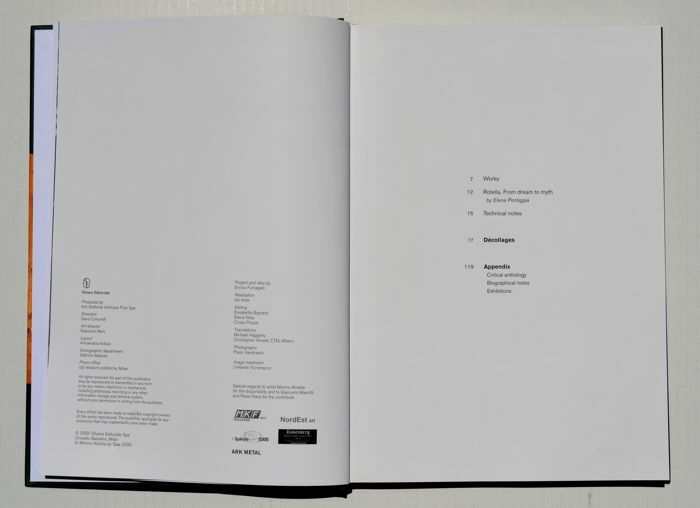 The catalogue is NOT included. 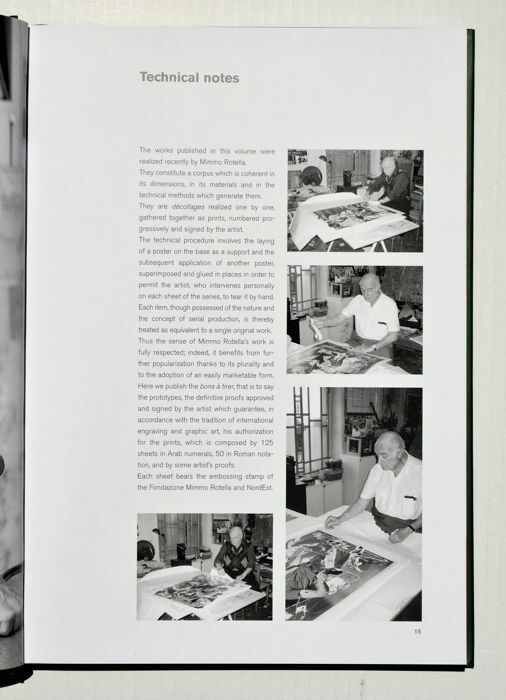 A colour photocopy of the publication will be included with the parcel. 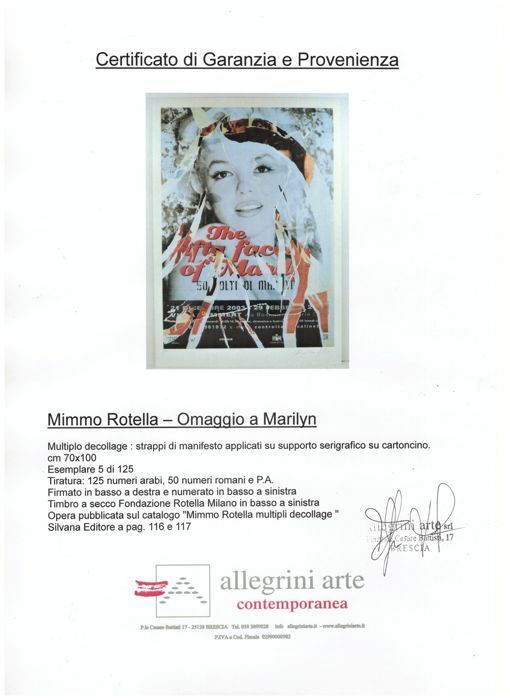 Certificate of guarantee and origin by Allegrini Arte contemporanea.